Teenager Sam Watkins lost both parents as baby. He's lived all his life at The Lyons Orphanage under the care of owner, Mr Howard Lyons. Sam has a special ability - he can read minds; but for some reason he can't read the mind of Mr Lyons. He begins to speculate why he isn't allowed to be fostered and reaches the conclusion it must be linked to his unusual ability. When the orphanage falls into disrepair, Sam uncovers a power-struggle between Mr Lyons and his assistant Natalie. Despite receiving donations, Mr Lyons isn't spending anything on much-needed repairs. Sam takes it upon himself to discover the truth about what Mr Lyons is really up to. First of all I think this book would benefit from being marketed towards the Young Adult reader. From an adult perspective, I found the dialogue rather stilted and the characters a little too one-dimensional (I kept being reminded of a Scooby Doo-type cartoon). Whilst the idea behind the book was original and I so much wanted to like it, the story just fell flat for me. From the outset I found it unclear what time-period the book was set in; I settled for pre-WWII because the word 'orphanage' is so rarely heard in modern times. 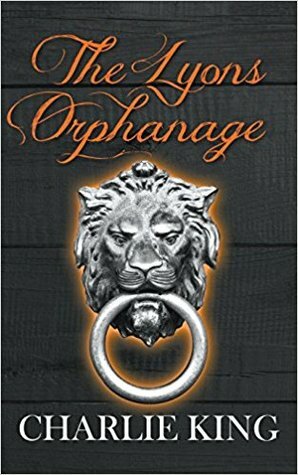 Further into the book, I discovered it was set in the present time; which left me wondering why the 'orphanage' wasn't called a 'children's home'. I suppose the latter doesn't sound so catchy as a book title! The pacing was far too slow and too much time spent on unnecessary small-talk. If the author tightened up the dialogue, increased the pacing, put a little more action onto the pages rather than chit-chat, it could be an excellent Young Adult book. Unfortunately for me it just didn't hit the mark. My thanks to author Charlie King for providing a copy of this book. Unable to read the mind of Mr Lyons, he takes it upon himself to investigate the reasons behind the owner’s decisions and learn more about the origin of his ability, his parents and the potential of his power.